The term Data Management is an old one if you do not count other terms that were used before. With the rise of secondary storage, and the explosion of data, data management had to mature quickly. Although there are a lot of similarities between the two, the two are complementing each other but are definitely not the same. While startups like Rubrik and Cohesity lead the way for a mostly appliance base approach to data management and secondary storage enablement, there are others that will solve these solutions with software. 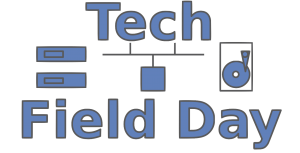 During the Storage Field Days and other Field Days we have been informed on a couple of these solutions, and I have always been interested with the possibilities these solutions bring. During Storage Field Day 17 Komprise presented on their Data Management software which they are offering their customers. Figure 1. 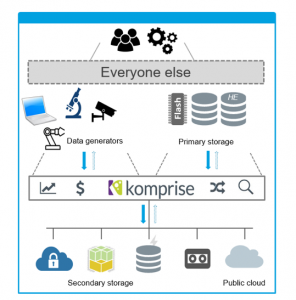 The Komprise Data Management software. I’ve asked myself over and over again, what is the difference between Secondary Storage and Data Management? For me there certainly is a difference between these two, in that Secondary Storage is much more focused on the storage of data that is less important for the company’s business strategy, as well as that it is more or less hardware-based because it needs the right storage medium for the right price. With Data Management the focus is more on making sure the hardware is at the right place, in a consistent manner, as such it’s much more software-based. Secondary storage is by default all non-Primary storage. Therefore it is data that should not be kept on expensive storage, duh. But this also implies that secondary storage is much more hardware-based and until now, almost all of this data is kept on spinning media because that is the cheap option. Please don’t get me wrong, secondary storage is as important as primary storage. The only difference is that primary storage is used for data that needs to accessible all the time and as quickly as possible, where secondary data is the data that gets accessed less often or is a copy of the primary data (backup). Data management is the organizer between the primary and secondary storage. It acts like a referee between the two and makes sure that storage space isn’t spoiled by multiple copies on both primary and secondary storage. Good data management software will organize and place data in a manner that will leverage the strengths of both storage types and will in the end save precious and costly storage systems, meaning it will save the company money. So, it is NOT secondary storage versus data management, but data management as an enabler for secondary storage done right. With Data usage growing exponentially and we’re all knowing this will not stop any time soon (read: ever), addressing the problem of how many copies are kept and where, when data ages out (legally or preferably), where to store the data if not being accessed for a certain time period is where Data Management will show its power. Data Management supplier Komprise presented their Data Management software offering during Storage Field Day 17 in San José. A key takeaway for me about Komprise software is that you’ll just need to purchase software to leverage your already existing hardware, or if you want/need, you’ll be able to buy the hardware that is needed for your infrastructure. 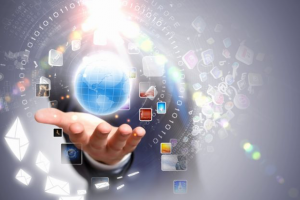 Data growth is one of those things that is very hard to administer for those responsible. In a lot of cases, there is a lot of data floating around that is already stored multiple times, or has not been accessed for more than a year. You do not want this secondary data to fill up your primary storage systems. Instead you need to make data visible, save space, and manage your data in a way that enables the data, instead of just storing it. That is where Komprise can be a great help. They presented on their software solution that enables companies to manage their data. In the old days we would store our data in a way that would last forever (in some cases at least). But as humanity evolved and data changed we figured out smarter ways to share and store our knowledge. With the evolution into the digital era, the growth of data and data sharing has become a force to recon with, it brings a whole lot of great opportunities, but it also brings a lot of new problems to solve. The biggest one of these is the way to store and manage this. 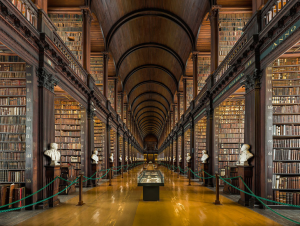 With Komprise software, data storage can be managed like a library. And as within a library, we should make sure that knowledge (data) is stored in a way that fits our needs. The presentation done by Komprise at Storage Field Day 17 (Full video in link) showed the capabilities they have for managing your data. Transforming data without disruption is a hard thing to do, as you almost never come into an environment that has everything sorted out. But it is still what Komprise achieves with its software, and that is very impressive. Komprise promises that the software is very easy to setup, it will take about 15 minutes to implement and after a little while it will show you the “green donut”. The green donut is sadly inedible, but shows the data stored on your environment and when hovering over the donut it will show you the data age in chunks, which data is a day, a week, a month old, and so on. This can then be further investigated in other parts of the portal (A hybrid SAAS offering) that gives you more insight into the data. The Komprise software gives companies the insight in their data that is needed but goes much further than that. It provides capacity planning, it gives companies the ability to create a live transplant archive as well as the the possibility to replicate, recover and migrate data as well as the technology to access files in it native form stored on Object Storage, be it in the cloud or on premises. There is much more that can be told on the Komprise software technology, but for now I’ll just let you know that there is already a lot of information on Komprise provided by the other delegates of Storage Field Day 17.